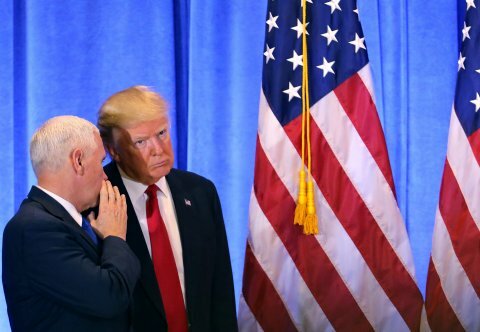 "...Psst, Chief, did you get my tweet about Congress' vote on the 25th amendment letter I sent to Mitch McConnell?..." PillartoPost.org scenario: Let’s say America votes in a Looney for President, a person whose dark side only appeared once elected, then the question surfaces: how do we legally remove the nut case from office? One way is the 25th Amendment. For example, if the President’s political party feels that bozo in chief is ruining the sitting party, the party leadership can ask the Vice President and significant numbers of yo-yo’s staff to write letters to Congress asking to remove the President because the Chief Executive is incompetent. Once receiving the letters Congress can temporary appoint the Vice President as the new President. However, the Looney can write a letter to the leaders of Congress telling them he is perfectly capable of carrying out his duties. Then Congress must bring to a vote to decide the issue. If 2/3 of Congress agrees the President is bonkers then the Vice President becomes the new president. If Congress doesn’t get the 2/3 vote to dump him, then Bozo stays in office. GUEST BLOG / By Rebecca Harrington, www.businessinsider.com--Americans have been brushing up on their knowledge of the Constitution lately, according to Google Trends data. The search term "25th Amendment" spiked in popularity after President Donald Trump took office, particularly after he signed the first controversial temporary travel ban on January 27. After President John F. Kennedy was assassinated, Congress proposed and the states ratified the 25th Amendment in 1967 to formally outline the transition of power. Before that, the vice president didn't officially have the power to take over. The amendment states that if the president dies, resigns, or is removed from office, the vice president becomes president. If there is a vacancy in the vice presidency for any reason, the president can choose someone to fill it. And if the president is unable to fulfill his duties — like when President George W. Bush was under general anesthesia for colonoscopies in 2002 and 2007 — he can temporarily transfer his powers to the vice president, and get them back when he's done. But Section IV is what some liberals have been frantically searching for more information on, because it could be a way to legally remove Trump from office. Under the amendment's fourth stipulation, it would only take 14 people to depose the president — Vice President Mike Pence and 13 of Trump's 24 Cabinet members. "Whenever the Vice President and a majority of either the principal officers of the executive departments or of such other body as Congress may by law provide, transmit to the President pro tempore of the Senate and the Speaker of the House of Representatives their written declaration that the President is unable to discharge the powers and duties of his office, the Vice President shall immediately assume the powers and duties of the office as Acting President." He told Business Insider that the senators who signed the provision into law specified that declaring the president unfit must rely on "reliable facts regarding the president's physical or mental faculties," not personal prejudice. "If you read the debates, it's also clear that policy and political differences are not included, unpopularity is not included, poor judgment, incompetence, laziness, or impeachable conduct — none of that, you'll find in the debates in the congressional record, is intended to be covered by Section IV," Feerick said. Policy and political differences, unpopularity, poor judgment, incompetence, laziness, or impeachable conduct — none of that is intended to be covered by section IV. Section IV goes on to say that if two-thirds of both houses of Congress don't vote to uphold the decision and keep the vice president in charge within 21 days, then the powers and duties automatically transfer back to the president. So if the president doesn't want to give up his office, Feerick explained, he doesn't have to if Congress agrees he shouldn't. Akhil Reed Amar, a law and political science professor at Yale University, said in a podcast for the National Constitution Center on the topic that the president's own running mate is the one who triggers a "palace coup," in order to maintain political stability. "The 25th Amendment doesn’t try to specify in great detail what might count as a disability, but does try to in effect identify who and how we go about the process," Amar said. "Here's the key point: The vice president is the pivot in the whole process. Unless the vice president puts himself — maybe one day, herself — forward, no one else can really basically, at least within the 25th Amendment framework, proclaim an unwilling president 'disabled.'" The idea is that the Cabinet and VP are the president's closest advisers, Feerick said, so they would be the ones with the best sense of his mental faculties. They, and Congress, could also consult doctors to evaluate the president's physical and mental health in order to determine if he or she is fit for the job. 4. Whenever the Vice President and a majority of either the principal officers of the executive departments or of such other body as Congress may by law provide, transmit to the President pro tempore of the Senate and the Speaker of the House of Representatives their written declaration that the President is unable to discharge the powers and duties of his office, the Vice President shall immediately assume the powers and duties of the office as Acting President. (underlining by PillartoPost.org). Thereupon Congress shall decide the issue, assembling within forty eight hours for that purpose if not in session. If the Congress, within twenty one days after receipt of the latter written declaration, or, if Congress is not in session, within twenty one days after Congress is required to assemble, determines by two thirds vote of both Houses that the President is unable to discharge the powers and duties of his office, the Vice President shall continue to discharge the same as Acting President; otherwise, the President shall resume the powers and duties of his office. 1. 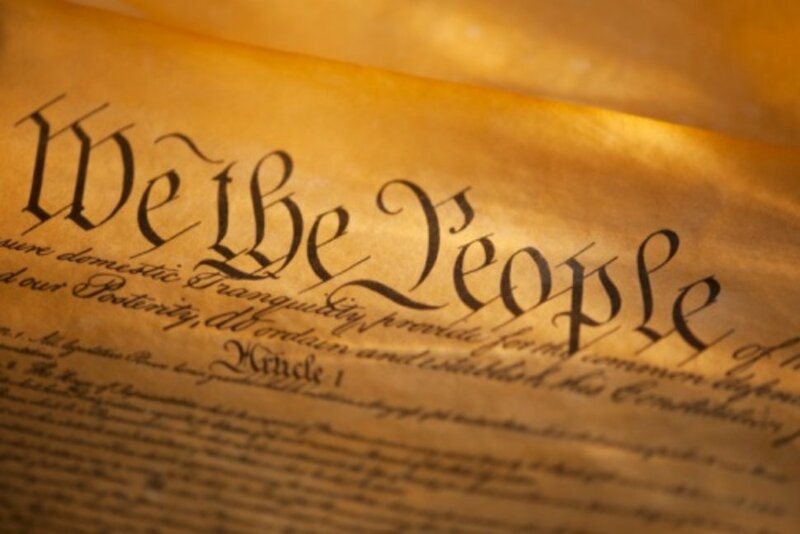 The 25th Amendment to the Constitution was passed by Congress on July 6, 1965, and ratified on Feb. 10, 1967. It contains four sections and details the steps for presidential succession and provides for the case of presidential disability. 2. The amendment was ratified in 1967, four years after President John F. Kennedy's assassination, which left his successor, President Lyndon Johnson, without a vice president until his inauguration in 1965. 3. The amendment provided a process for the president to withdraw from office, voluntarily and temporarily, which can be authorized by notifying Congress that he is unable to discharge his powers and duties. The vice president takes over as acting president until the president notifies Congress that he is fit to return. 4. When President Ronald Reagan was rushed into emergency surgery following the 1981 assassination attempt, then-Secretary of State Alexander Haig declared that ''constitutionally ... I am in control here in the White House, pending return of the vice president.'' Vice President George H.W. Bush was returning to Washington from Texas at the time, and had he been unavailable, the Speaker of the House would have been in charge following the succession rules. It was later explained that what Haig meant was that as the senior Cabinet official, he had assumed control over the White House Situation Room. 5. In the case of a death of a president, the vice president becomes president. In that event, the new president would name a vice president who would be subject to confirmation by a majority vote in both chambers of Congress. 6. Prior to the 25th Amendment, some presidents forged agreements with their vice presidents regarding transfer of power in case of an inability to serve. President Kennedy entered into an agreement with Johnson in 1961, as did Johnson with Vice President Hubert Humphrey in 1965. Presidents George H.W. Bush and Bill Clinton also made such arrangements with their respective vice presidents in the case of illness. 7. Reagan and Bush also had a similar agreement, despite the existence of the 25th Amendment. When Reagan underwent cancer surgery in 1985, he opted not to invoke the amendment. In a letter to congressional leaders, he noted that his advisers felt the amendment might not apply to "such brief and temporary periods of incapacity" as the one for his upcoming surgery. Reagan said that under a "longstanding arrangement" with Bush, he was putting him in charge "commencing with the administration of anesthesia to me in this instance." 8. Following criticism by former President Jimmy Carter, a Working Group on Presidential Disability was established in the 1990s to evaluate what to do when the president's ability to serve is in question. Carter recommended that a panel of physicians should be the arbiter of whether the president is incapacitated, but it was later decided that it was an impractical solution. 9. Section 4 of the 25th Amendment stipulates that a president who "is unable to discharge the powers and duties of his office" can be removed from office. The vice president and either a majority of Cabinet members or members "of such other body as Congress may by law provide" need to communicate that wish in writing to the Senate president pro tempore and the Speaker of the House in order for the sitting vice president to become the acting president. However, if the president resists and deems himself capable of fulfilling his duties, the matter heads to Congress: A two-thirds vote in both the House and Senate within 21 days means the vice president remains the acting president; a lesser vote returns the powers to the president.